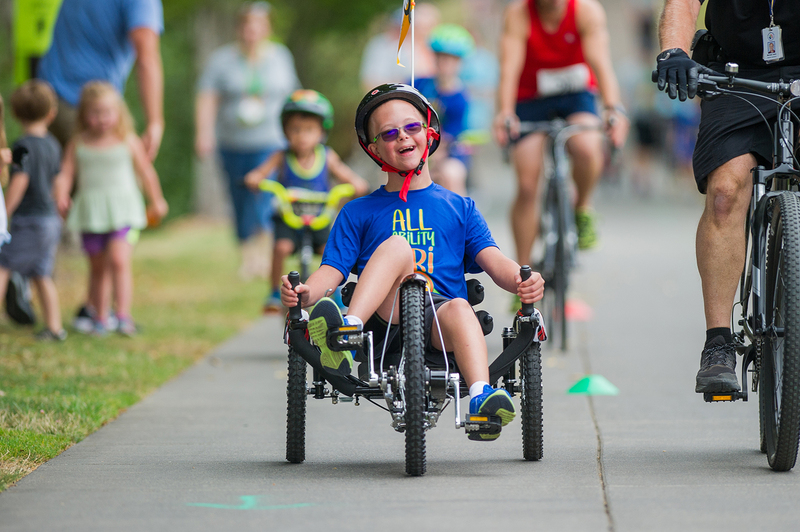 The All Ability Tri4Youth, presented with nonprofit partner FACT Oregon, is a fun, safe race that encourages young athletes to compete to the best of their abilities. All Ability Tri4Youth triathlon is designed for everyone 8 to 26 years of age - with and without disability! This is an event for youth of all abilities! Check back soon for information about 2019's Tri4Youth. Registration will be available at factoregon.org. Registrants have the option to create a fundraising page to support their registration fees. Participants receive a Tri4Youth T-shirt, a medal, and an invitation to attend a post-race party with music, food and support from community partners that specialize in providing support for families experiencing disability.